The RJ45 High Performance Category 6 Patch Cable is the perfect performance upgrade. 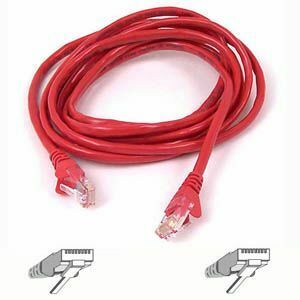 Used to replace any Cat 5 cable that fails to support 100 Base-T or Gigabit Ethernet. With RJ45 male-to-male connectors and a snagless molded strain relief.